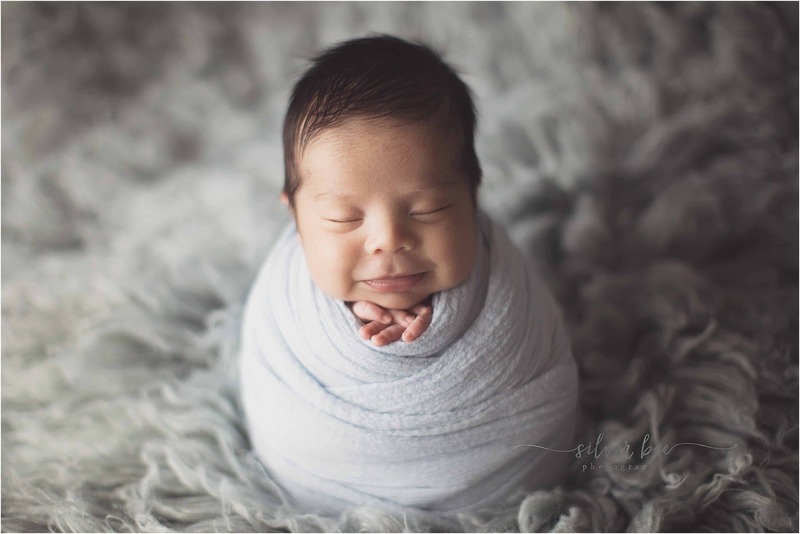 I love all babies, but babies with lots of hair….total heart melt. 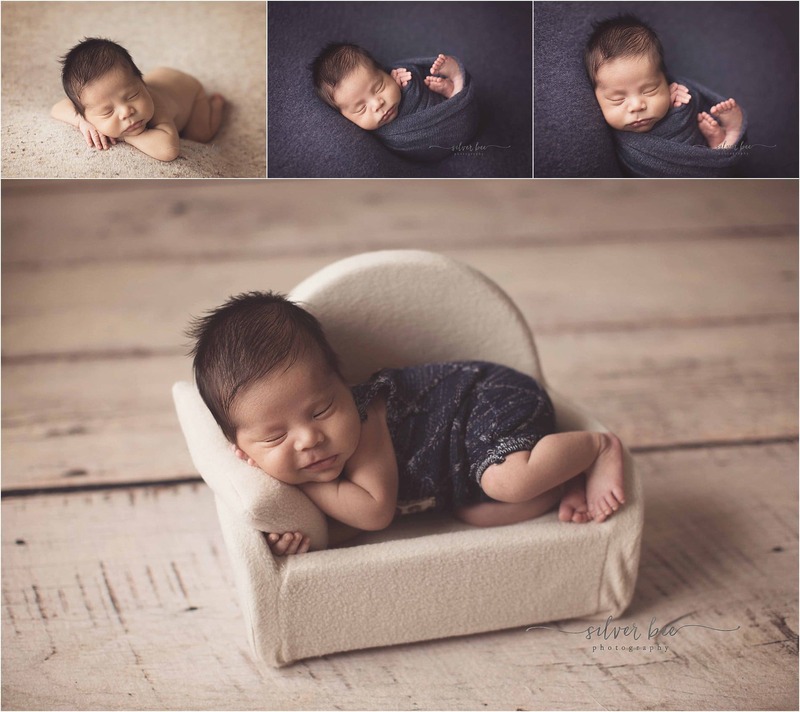 This newborn session was one of my favorites! Not only was he absolutely perfect and didn’t mind me fussing with him, but his hair was simply adorable. He was super cute with and without hats, but it was hard to cover up those locks of his. I know I say this often, but I really could have kept this sweet baby. He almost gave me the baby bug, but then I came to my senses! 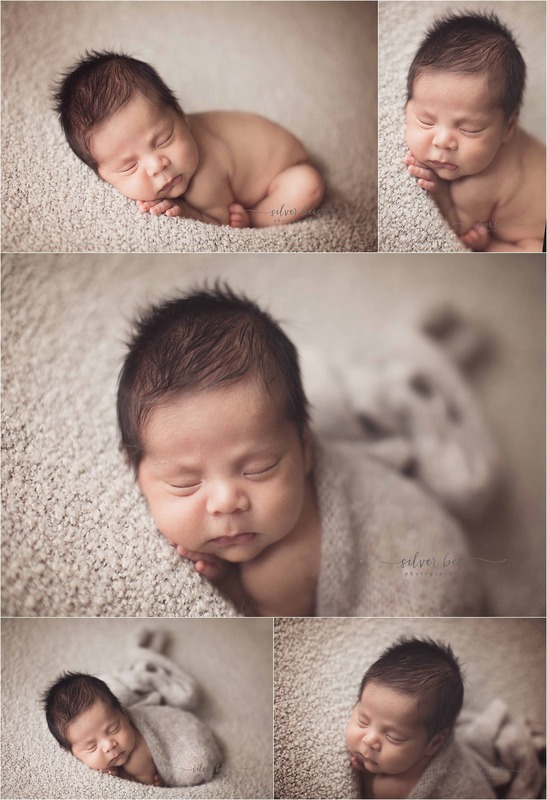 Newborn photography is where it’s at for me and I feel very blessed to meet all these beautiful little ones. And when meeting his parents it was very clear where his good looks come from. Such a cutie!! If you are expecting a little one, be sure and contact us by the beginning of your third trimester of pregnancy. We limit the number of sessions each month to ensure personal service to each of our clients. Newborns change very quickly, especially in the first month, so be sure not to miss a beat! Photography sessions are an investment and remember you can never get those few precious early moments back. You blink and they are gone. If you have missed those early days, reach out to us and we may be able to get you scheduled for a photo session. If not, the next best stage for photographs are around 3-4 month stage. They will have lots of personality and is such a fun age. Completely different from the sleepy newborn stage. Don’t miss it!